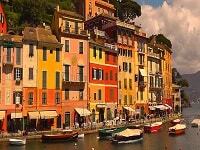 Tour the real Italy and its fantastic cities on this 11-day Rome, Venice, Florence, Sorrento escorted Italy tour. This first class guided tour of Italy’s sightseeing highlights includes three nights in Rome and two nights in Venice, Florence, and Sorrento. The tour itinerary includes excursions to Capri, Pompeii, and Verona. In Rome, you’ll tour the Vatican Museum and Ancient Roman Forum and Colosseum. 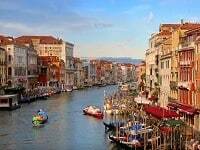 In Venice, you’ll enjoy a tour of St Mark’s Square, the Doge’s Palace and see a glassblowing demonstration. In Florence, you’ll walk around Florence with an expert local guide. In Sorrento, you’ll visit the Isle of Capri, enjoy dinner in a local trattoria, and tour Pompeii. For the daily itinerary click here. Submit the form for the price of the 11 Day Rome, Venice, Florence, Sorrento Tour with airfare from your preferred departure city. Venice – Glassblowing demonstration on the Giudecca island. Free Wi-Fi in most hotel lobbies. 15 Meals: 9 daily buffet breakfasts and 6 dinners. Check the box next to the 11 Day Rome, Venice, Florence, Sorrento Tour with Capri, Pompeii, Verona that you would like to join. Today you’ll arrive in Rome. Transfer to your hotel. Then head out and stroll around the Eternal City. 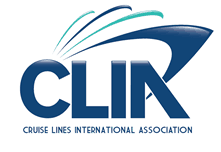 This evening there is a welcome reception where you’ll meet your tour director and fellow travelers. The evening also includes a drive to see some of Rome’s famous sights. Today you’ll enjoy an escorted tour of the Vatican Museum. Your local expert tour guide will point out the important pieces and this giant museum that chronicles the history of western civilization. The tour includes the Bramante Staircase designed by famous architect Donato Bramante. You’ll also have time to admire Michelangelo’s frescoed ceiling in the Sistine Chapel and then visit St. Peter’s Basilica to see his famous Pietà. Your tour then continues across the Tiber River in Ancient Rome. Thre you’ll see the Circus Maximus where chariot races were held and visit the Colosseum. 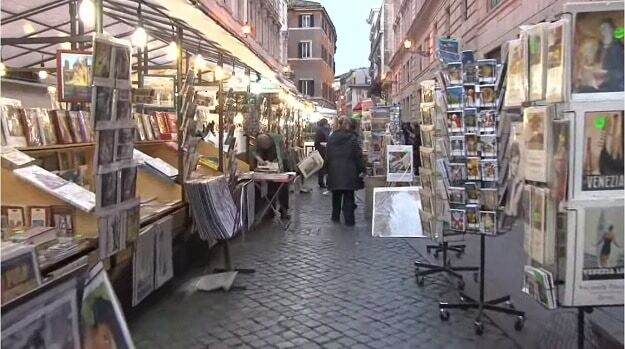 After your Rome sightseeing, you have time to stroll around Rome’s cobblestone streets. Be sure to visit the famous piazzas such as the Pantheon, Piazza Navona, Trevi Fountain and Spanish Steps. Try a gelato or take an espresso. Today you’ll drive from Rome, through Tuscany’s famous rolling hills, passing by the hilltop town of Orvieto, crossing through olive groves and wine vineyards. Then you’ll cross the Apennine mountains, which give way to the fertile Emilia Romagna region and finally to the region of Veneto. Upon arrival in Venice, you’ll have dinner with the group at the hotel. This morning you’ll wake in the magical city Venice. The Venice sightseeing begins with a visit to see the local artisans blow glass on Giudecca Island. After you’ll take a cruise down the Grand Canal. Along the way, you Venice’s history as one of the richest and most powerful cities will reveal itself. The cruise end in St. Mark’s Square where the Byzantine Basilica, Bridge of Sighs and Doges’ Palace are located. Your afternoon is free to enjoy Venice’s beauty. Get lost in its alleys, shop in its local boutiques, and consider visiting a local cichetti bar, which are inexpensive bars serving local wines and finger foods. If you love seafood you may want to visit an authentic trattoria or fancier osteria. 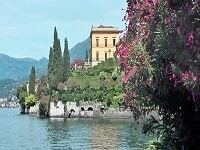 Today you’ll enjoy a pleasant and leisurely drive through the Veneto region to the charming city Verona. Famous for Juliet’s balcony in Shakespeare’s Romeo and Juliet. Verona’s sightseeing highlights include its ancient Roman arena, like the Colosseum in Rome, it is still used to this day for opera and other performances. It is the third largest in Italy. After the tour continues south to Florence, the birthplace of the Renaissance, and like Venice in its heyday was the wealthiest city in the world. This evening you’ll visit a local Florentine family who will prepare an authentic dinner of delicious local ingredients. This morning enjoy a walking tour of Florence’s historic center. Your local Florence expert tour guide will guide you to sightseeing highlights including Piazza della Signoria, Ponte Vecchio, The Duomo with its dome engineered by Brunelleschi, The Baptistry to see the gilded bronze doors designed by Ghiberti, and Giotto’s Campanile Bell Tower. This afternoon Florence is free to you to explore. Art lovers may want to visit the Uffizi to see the Renaissance masterpieces. Or visit the Academy of Fine Arts featuring Michelangelo’s statue of David. Shoppers will love Florence’s leather goods and 18 karat gold jewelry. This afternoon, you have the opportunity to take an Optional Experience to San Gimignano, whose tall medieval towers can be seen from miles around. Today you’ll drive south from Florence to the lively and colorful region of Campania. Along the way the tour visits the Commonwealth Cemetery in Cassino, which lies below the famous Montecassino Abbey that was the site of a fierce battle in May 1944. You’ll travel down to the Bay of Naples where Mt Vesuvius lurks over this lively area. You’ll arrive in the resort town of Sorrento, perched on a cliff with views of Capri, Naples, and Mt Vesuvius. Accompanied by a Local Specialist, cross the Bay of Naples by ferry to the Isle of Capri, where Emperor Tiberius built a series of villas and governed the Roman Empire for the last ten years of his life. Spend some time sightseeing or consider an Optional Experience to Anacapri which features magnificent views. Later in Sorrento, visit an inlaid woodwork factory for a Cultural Insight into the production of this local craft. Tonight you’ll enjoy a Campania Regional Meal in a local restaurant. Today you’ll visit Pompeii, an ancient Roman city, which was preserved by volcanic ash when Vesuvius erupted in 79 AD. A local Pompeii expert tour guide will provide historical context and stories of day-to-day life in the ancient Roman city. Then continue on to Rome where you enjoy a celebration dinner. After a beautiful trip through Italy say goodbye to the bel paese with fond memories and new friends.